This structured blouse from Helmut Lang is an updated take on a classic closet staple. 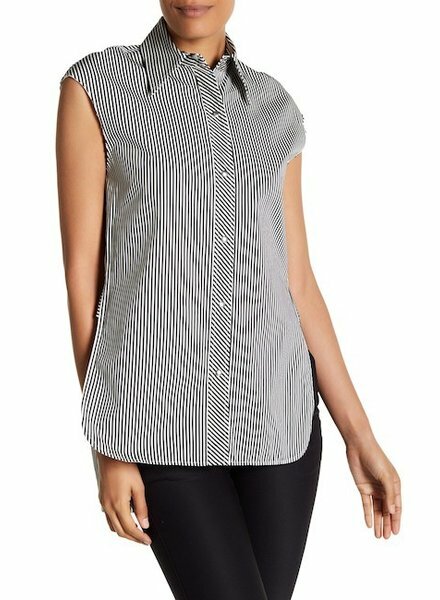 It is sleeveless with a raw hem, split collar and has a button front closure. Perfect for work or play!